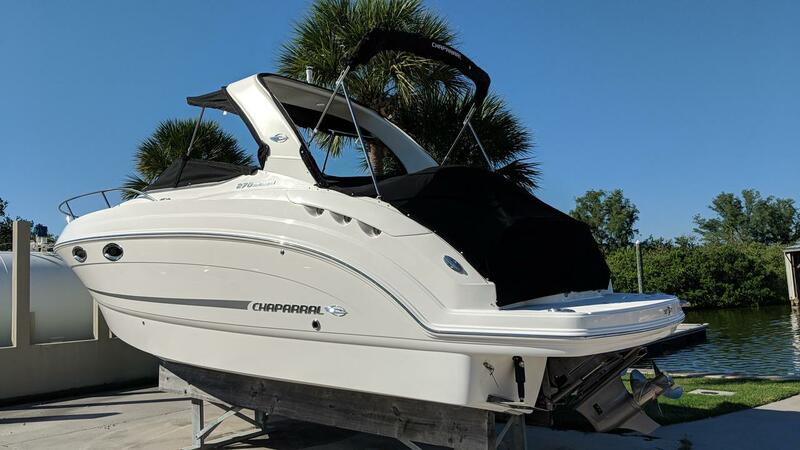 2019 Chaparral 270 Signature, powered by Volvo Penta V-8 350 HP. 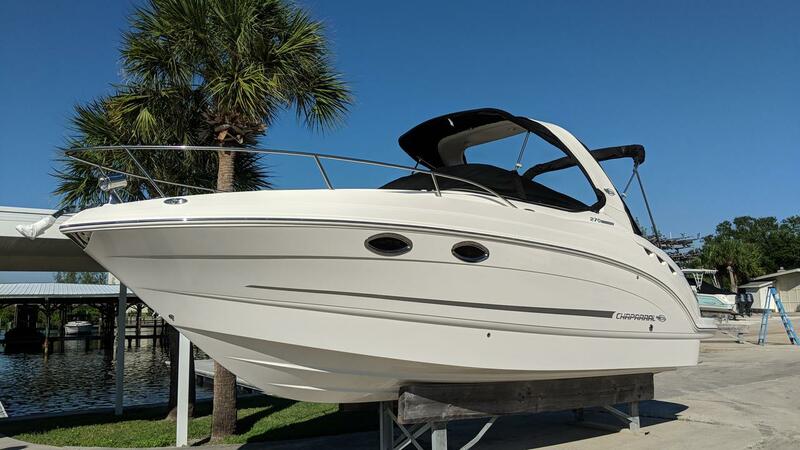 White exterior and neutral cabin interior. 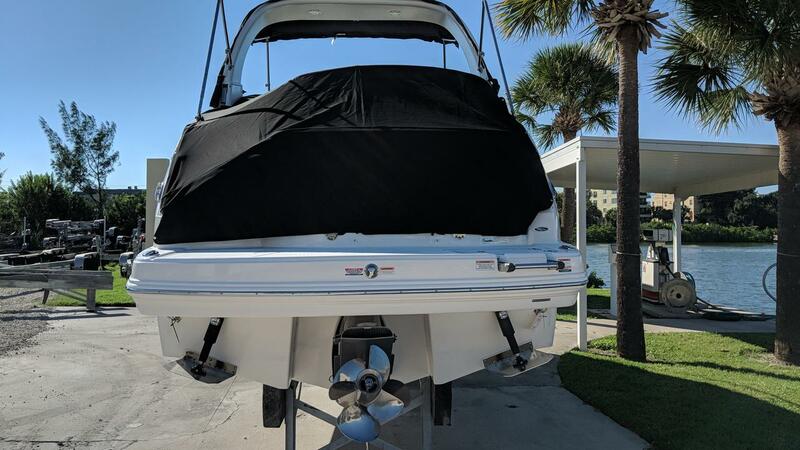 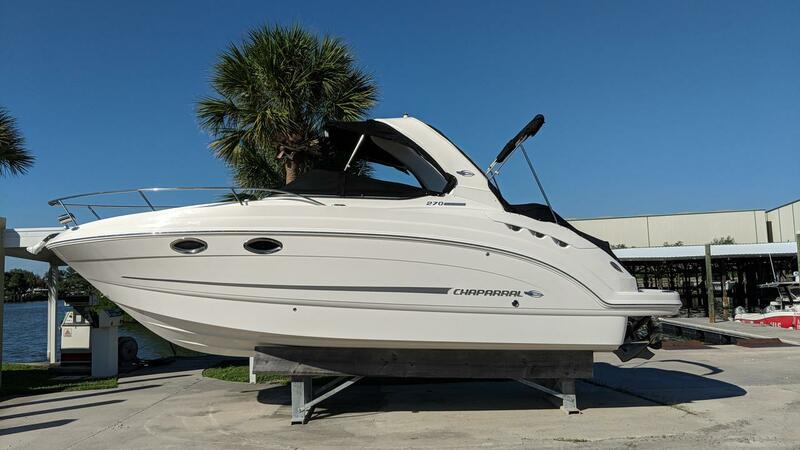 Features include: Garmin 742XS GPS, generator- 3KW, AC/Heat- 5,000 BTU, windlass w/ galvanized anchor, rope and chain, remote spotlight, aft sunpad/bucket seat, radar arch w/ bimini, vacuflush head w/ overboard discharge, auto fire extinguishing system, TV/DVD w/ antenna, camper canvas, cockpit cover, electric stove, wood cabin flooring, cockpit table, flip back lounger, stereo remote at helm, dinette w/ filler, cockpit wetbar, electric trim tabs, dual battery set up, and a transom shower!